I enjoyed seeing your snaps of Longford P.S.as I worked at the place in the 60's.When I was there it was the canal that was 'passing away', now the power plant has gone the same way.The canals have had a second life as leisure areas but the power stations have had to move to more suitable sites as technology has advanced. 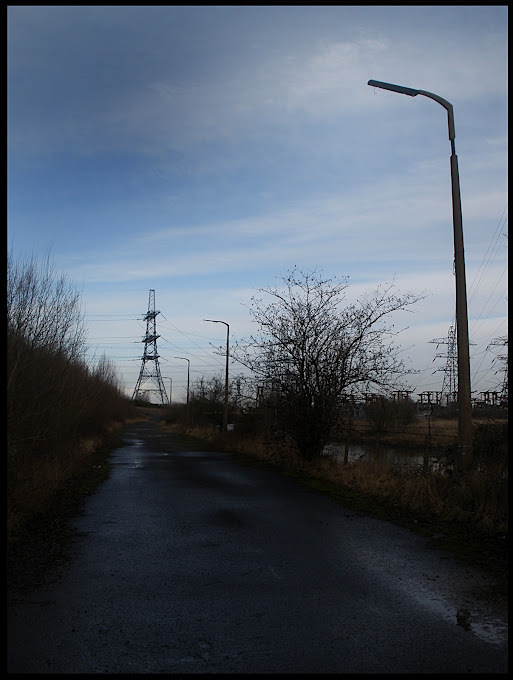 I used to cycle to the plant usually but also walked the canal towpath to my house at Potter's Green. I remember the heavy fog that rose in the winter over the common. We'd heard of plans for a motorway but couldn't really believe it, it was such a peaceful spot in those days.